Hilma af Klint, Group IV, The Ten Largest, No. 7, Adulthood (1907). The Hilma af Klint Foundation, Stockholm. LOST PAINTING! WHO OWNS THIS PAINTING AND WHERE IS IT NOW? Any whereabouts of this painting or owner, please contact the diegovociproject@gmail.com. Our mission is to catalog all of Diego Voci’s works of art with the official Archive of the Diego Voci Estate! #GOOGLE “Diego Voci”, click on “IMAGES”. . .
“Among Diego’s many facets was a drive never to be poor, never to live a tormented drug ridden life of Amedeo Modigliani who at age 35 “died in Paris exacerbated by poverty only one exhibition to his credit” or the tortured life of Vincent van Gogh who died at age 37, with only one painting purchased in his lifetime. Don’t let the size of the this image deceive you, “Horses Racing” is 4 feet wide. There is no question that DIEGO, was truly an international artist. But he was known by the signature on his paintings as A. Voci or D. Voci until about 1965. 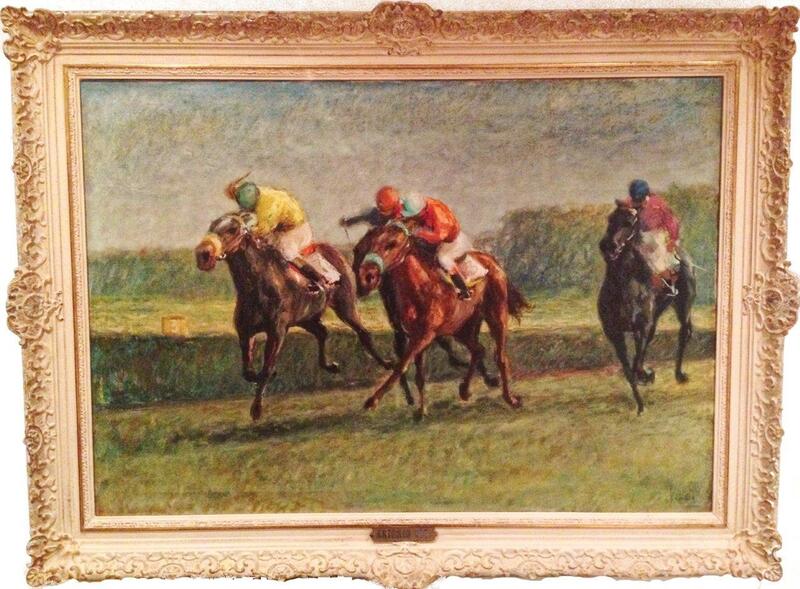 See a link below to compare the #Degas to this #DiegoVoci™ oil painting. Our Painting of the Week, is the second painting we have so far located which was originally sold by Schlossgalerie, in Zurich, Switzerland in the 1963-1965 period. It was repurchased in #BASEL back in 2010.